Summer started 2 weeks earlier than expected this year due to a teacher's strike, so we are full on into 'entertain the kids so they don't drive you crazy(ier)' season. I managed to sneak in a quick crafting session this afternoon, but I won't be doing anything for the next 2 weeks, except filling in my summer journal with lots of notes. 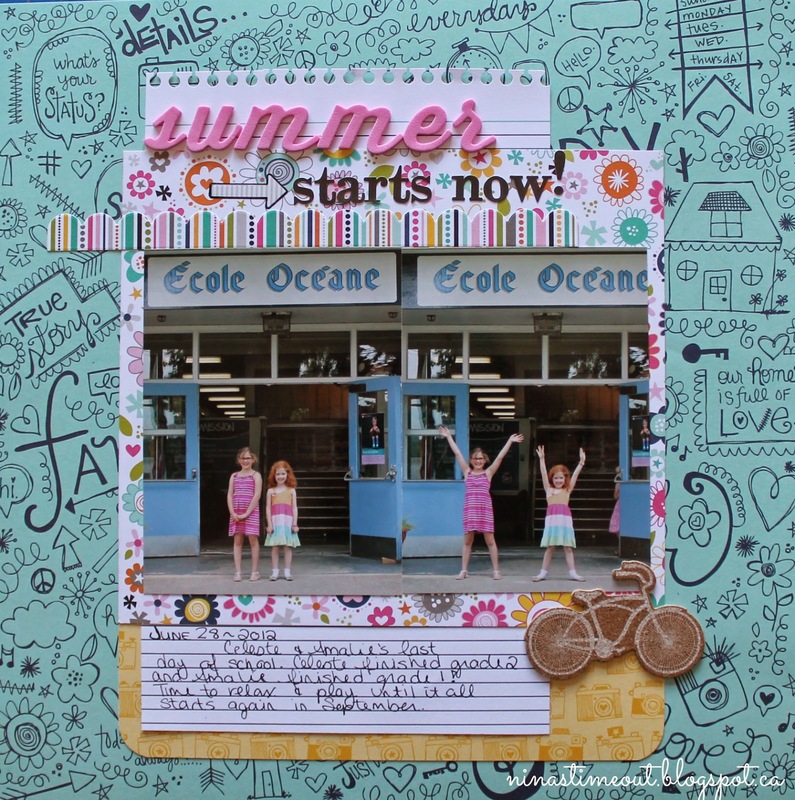 This layout is for the new Scrapbookin' Adventures challenge that was posted today. It is a super simple one, just a summer theme. I used a mix of Bella Blvd papers, Thickers, Webster's Pages alphas and an AC cork sticker. Hopefully this won't be my only layout for the month of July, but we'll see how it goes! This is such a fun layout Nina!! I love the mix of blue with pink! !